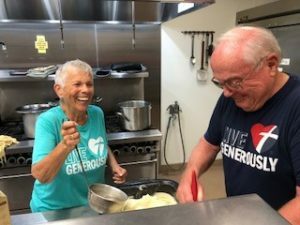 St. Peter’s travels to Grace Lutheran Church in Lancaster the first Wednesday of each month to serve a community meal for those in need. 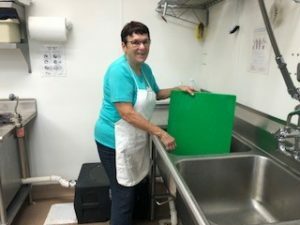 Volunteers report to the church at 1:00 pm to prepare and cook the meal. 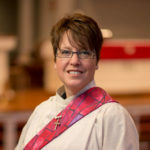 They leave for Grace at 4:30 to set up and be ready to serve at 5:30 pm. This is one of our outreach ministries that is supported financially by the church. About 10-15 volunteers help to shop, prepare, cook, and pack the food for travel. 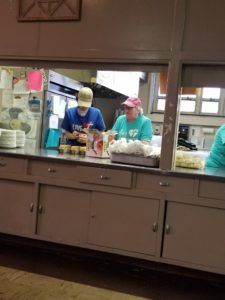 Volunteers are also responsible setting up the dining room, serving, washing dishes and packing up to return to church. We serve approximately 125 persons at each meal with more showing up in the winter months. 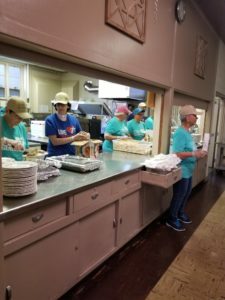 Our October 2018 meal was funded by Thrivent Choice Dollars. We are grateful for their partnership in helping to feed our neighbors. Anyone who has a Thrivent insurance policy, retirement account or other product is eligible for two $250 Thrivent Choice Dollars credit cards for outreach projects.